Making a simple knot is not difficult but if you want to achieve a weave made with simple knots that is even to make a carpet, a curtain or other kind of accessories with recycled fabric, you’ll need a special technique. Today you’ll see how to make easy macrame knots with fabric strips thanks to relevedesign, which teach us in a simple and clear way how to make knots with the fabric strips to create weaves with t-shirt yarn easily. With this tutorial you can learn how to make series of knots to make an easy woved piece which can be converted into curtains, bedspreads, carpets, shawls and everything your imagination suggests. 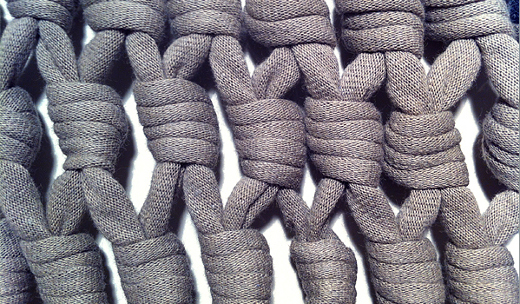 The tutorial of the simple knots can be found by clicking on the previous link. As you can see, this is an excellent way to achieve beautiful woven fabrics in an easy way, with simple knots linked, which are perfect for different kinds of projects. 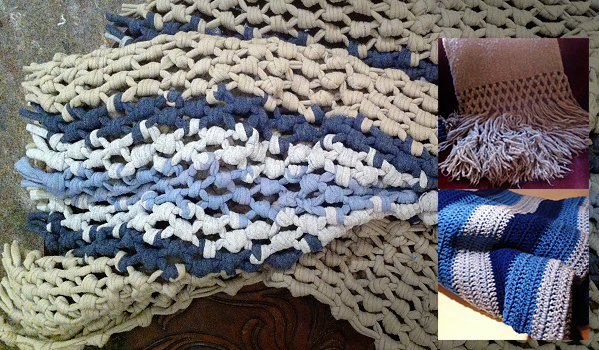 This entry was posted in Ideas and tagged easy carpet, easy macrame technique, fabric, knitted fabric, knitting fabric, knots on April 10, 2019 by Sue.